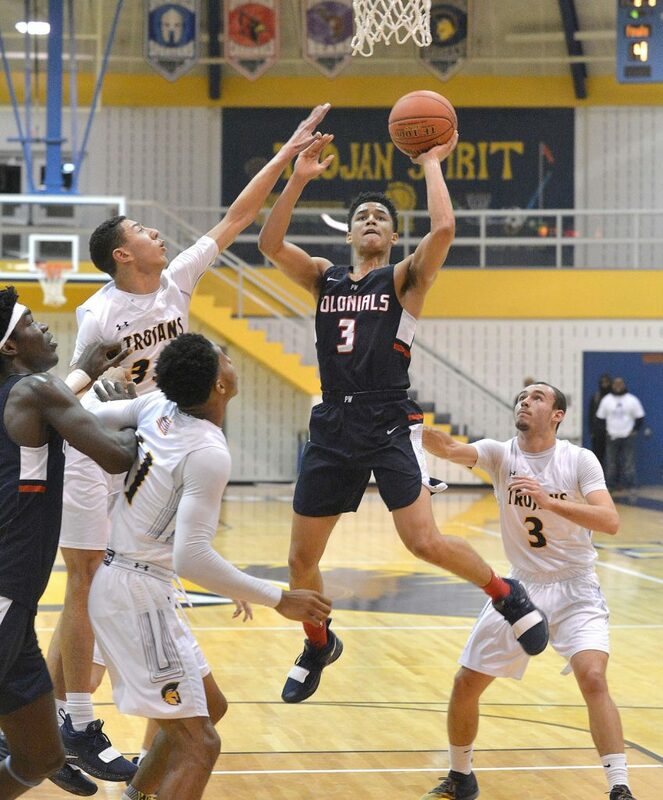 In their second game in the 7th Annual Lady Colonials Holiday Tournament at Plymouth Whitemarsh High School’s Gym West Caelin Peters and his Plymouth Whitemarsh teammates went down by seven to Bonner & Prendergast 64 – 57. In the battle of ACC-bound standouts, Isaiah Wong got the better of Naheem McLeod. Wong, headed for the University of Miami, scored 25 points to keep Bonner & Prendergast unbeaten. Tariq Ingraham added 16 points matched up in the post with the 7-foot-3 McLeod, the Florida State commit scored a team-high 19 points. Peters would score 12 points for Plymouth Whitemarsh.